Dubai, March 21: Kiwi captain Kane Williamson claimed the coveted Sir Richard Hadlee Medal for Men's Player of the Year at the annual New Zealand Cricket (NZC) awards on Thursday. Williamson also took home the Test Player of the Year award and the Redpath Cup for First-Class Batting. Ross Taylor, Trent Boult and Colin Munro also received major awards, while teenaged all-rounder Amelia Kerr was a big winner among the women, according to the ICC's website. Williamson had a hugely successful year across formats, both individually as well as the New Zealand team. Under his leadership, New Zealand rose to become the No. 2 side in the ICC Test Team Rankings. He also enjoyed good form with the bat, scoring 801 Test runs over the season under consideration, at an impressive average of 89. Like Williamson, the 18-year-old Kerr also bagged three awards -- the Women's ODI Player of the Year, Phyl Blackler Cup for women's domestic bowling and the Venus Cup for Secondary Schools Female Player of the Year. 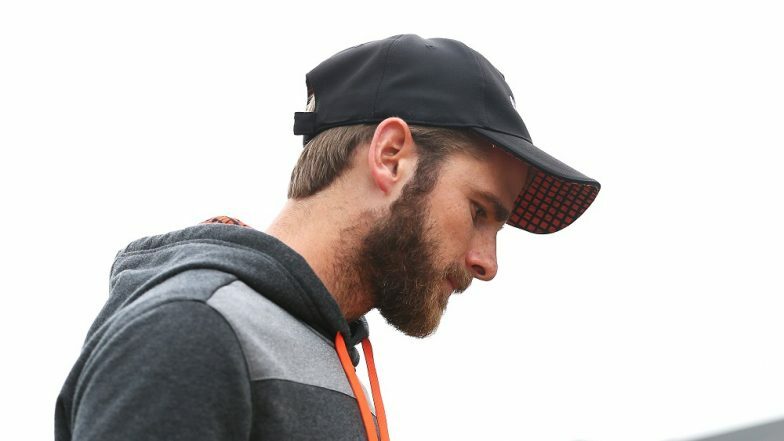 New Zealand Skipper Kane Williamson Can Play ICC World Cup 2019 After Injury? Kerr enjoyed a tremendous season, scoring 415 runs at an average of 59. She also broke the world record for the highest individual score in women's ODIs, when she smashed 232 (not out), surpassing Belinda Clark's 21-year best of 229. Taylor, who enjoyed a monstrous 2018 in ODIs, where he averaged 84 for his 759 runs, was named the Men's ODI Player of the Year for the second year in a row. In the T20I format, Sophie Devine once again took the Women's Twenty20 Player of the Year award, while Munro, too, bagged the Men's title like he did last year. Fast bowler Trent Boult, who received the Richard Hadlee Medal last year, was presented the Windsor Cup for first-class bowling, for his 35 wickets at an average of 24.